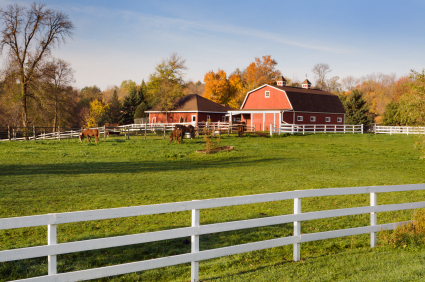 Buying a home or farm in the Nashville Tennessee area is an exciting but often overwhelming experience, particularly if you are buying your first home. As your REALTOR®, I can help you through the process and assure that you find the right home, at the right price. Perhaps one of the most intimidating aspects of buying a home or farm is the mortgage approval process. We'll be here to help guide you through this, but there are many ways you can prepare early to make the process smoother. Start by making sure your budget is under control--make a list of all your monthly expenses, compare it with your income, and see if adjustments need to be made. You should also try to pay off small credit card balances. Start gathering documents you may need, such as W-2 forms, income tax returns for the past few years, pay stubs, records of child support or alimony, bank statements for the past several months, and your credit report. Also, be sure to allow for closing costs. Getting several offers will allow you to compare loans and get the best deal. A general guideline to consider is that most buyers purchase a home that costs about one and a half to two and half times their current annual income. Existing debt is also considered in the mortgage process, and total debt payments (car payments, credit cards, student loans, etc.) should not exceed 40 percent of your gross monthly income. 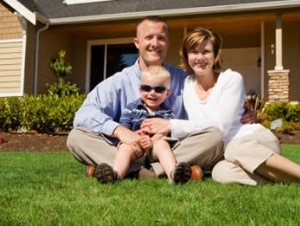 Click here to use this easy mortgage calculator to get an estimate of monthly payments. Before you start looking at properties, make a list of "must-have" features along with optional features you'd like to have. "Must-have" features may include the number of bedrooms and bathrooms you'll need to accommodate your family, location (consider commute to work, which schools your children will attend, etc. ), lot size and special needs (handicapped access, number of animals, required out-buildings, fencing, etc.). Optional features may include the architectural styling, landscaping, etc. Having a clear idea of what you want will help your REALTOR® find the perfect property for you.